Celebrated B.C. Indigenous artist Roy Henry Vickers is designing an intricate, bentwood-style box for the Grateful Dead’s new 19-disc compilation of its Pacific Northwest tours in the early ‘70s. Pacific Northwest ’73-’74: The Complete Recordings, scheduled to come out September 7, will feature six previously unreleased shows recorded in Portland, Seattle, and Vancouver—at the Pacific Coliseum in 1973 and 1974. The box set will come in Individually numbered packages, with a limited edition of 15,000. Look for the design to include Vickers' own artful take on a skull, as well as the raven creator; he'll be working from the Raven Man image shown here, which will also be available on T-shirts. A prominent talent in Northwest Coast art, Hazelton-based Vickers identifies as Tsimshian, Haida, and Heiltsuk. Along with his famous brightly hued canvases that employ the spirit animals, he also produces carvings, paintings, and totem poles, he has written books for adults and children. He is the founder of the Eagle Aerie Gallery in Tofino. 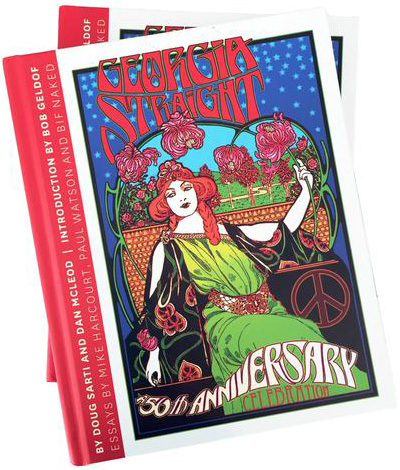 The Pacific Northwest ’73-’74 set also includes a 64-page book with an essay by Grateful Dead scholar Nicholas G. Meriwether and photos by Richie Pechner.